“Innovators in fuel systems” is more than just a by-line. Quick Fuel Technology since it’s inception in 1998, has grown exponentially in its 16 years of business culminating into the benchmark by which performance carburetors are measured. The complete range of Quick Fuel carburetors and parts are now available in Australia from Automotive Performance Distributors and its dealers. The RaceQ is the ultimate small flange drag race carburetor and packed with features that are sure to take your package to the next level. 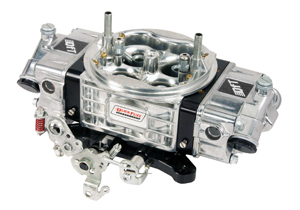 The Hot Rod series carburetor is our answer to the needs of street machines everywhere - from muscle cars to street rods the HR series is the most affordable and tuneable carburetor on the market today. The CQ is the latest innovation from Quick Fuel. The ultimate street performance carburetor, built especially for Automotive Performance Distributors. 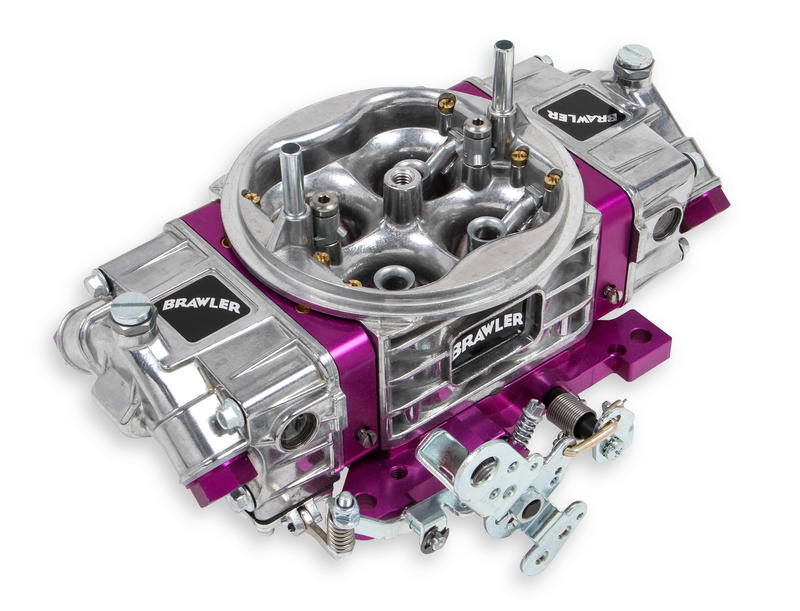 Quick Fuel Technology continues to lead the pack with their newest family of carburetors named Brawler. 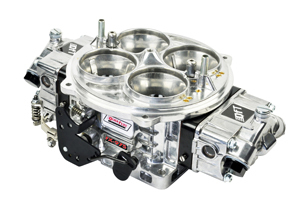 Brawler carburetors are precision machined and hand-assembled by craftsman in the USA. 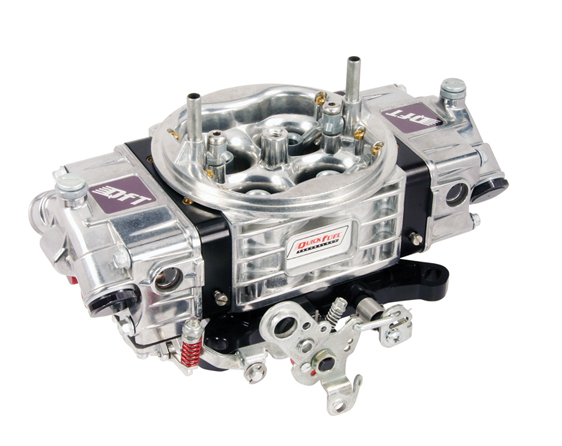 The Brawler family of carburetors include models suitable your daily driver and your race car. These carburetors work hard, just as their name implies- raw bare knuckled performance that you can rely on. Don’t let the budget-friendly price fool you, the Brawler development focused on the performance you want and not the pretty box that it comes in. Brawlers come with the latest technology in air/fuel calibrations for today’s street or race engine demands. 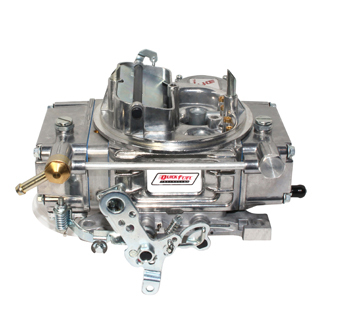 The Brawler family of carburetors are all made from light-weight aluminuim components and are available in both vacuum and mechanical secondary models. They offer all the tunability that you would find from more expensive carburetors in the market, including four-corner idle adjustment on all models. Quick Fuel Technology® introduces its new PRO-STREET Q-Series & QFX-Series carburetors designed for higher horsepower, larger cubic inch street-driven engine applications. These carburetors are specifically calibrated to provide good street manners while still obtaining maximum horsepower. QUICK FUEL TECHNOLOGY announces it’s new 450 CFM 4-barrel carburetors for street applications. These carburetors are designed for small displacement 4-cylinder, 6-cylinder and V-8 Engines. * Note: The 450 CFM is a nominal figure. Actual flow is the same or more than an 0-1848 Holley 465 or an 0-80570/0-81570/0-81571 Holley 570, which all have a 1.090” Venturi/1.500” Throttle Bore. All Billet Metering Blocks are not the same! The Quick Fuel Technology 750cfm Slayer Carb Tested in a Car Craft Carburetor Shootout!